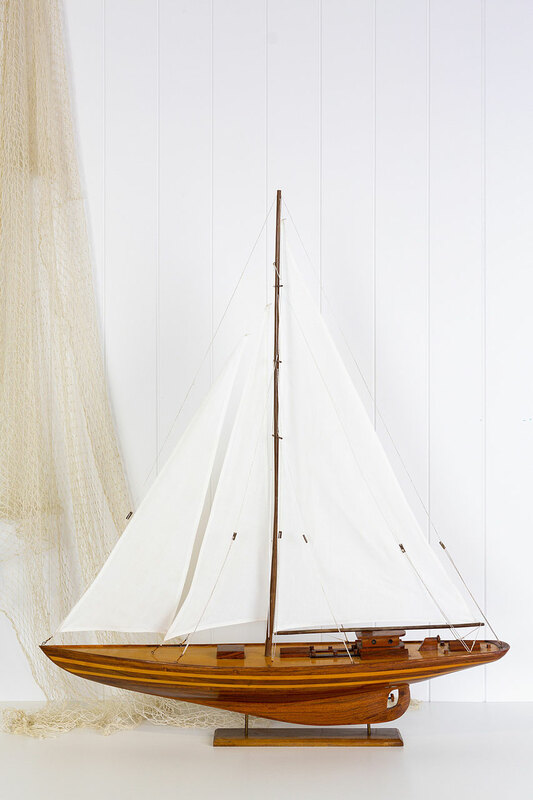 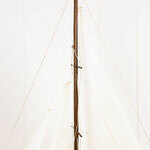 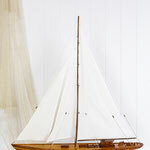 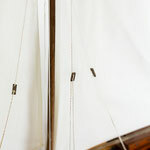 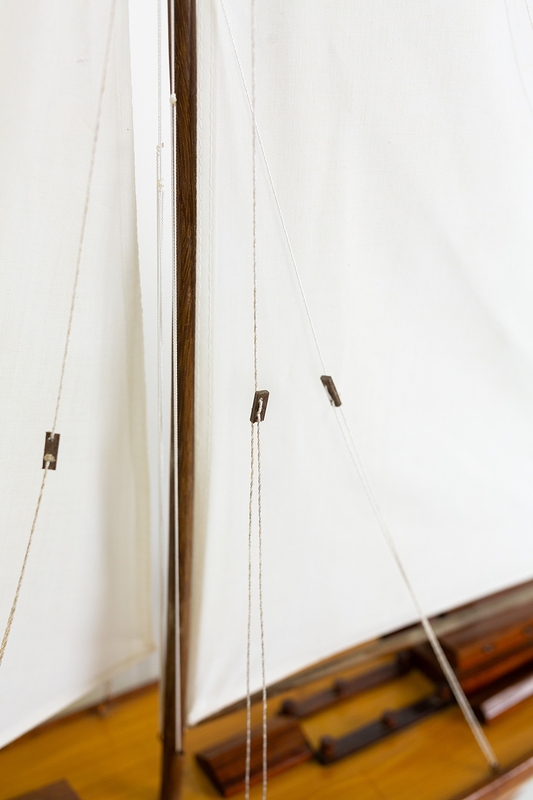 This wonderful model yacht would make a stunning addition to a Hampton's or nautical themed space. 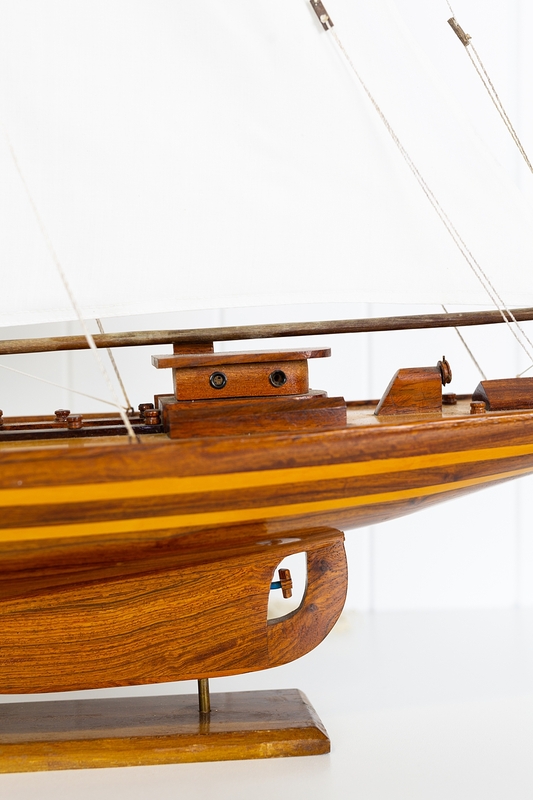 With off white sails, and all the details on the hull and deck in contrasting coloured timbers it is classic and understated. 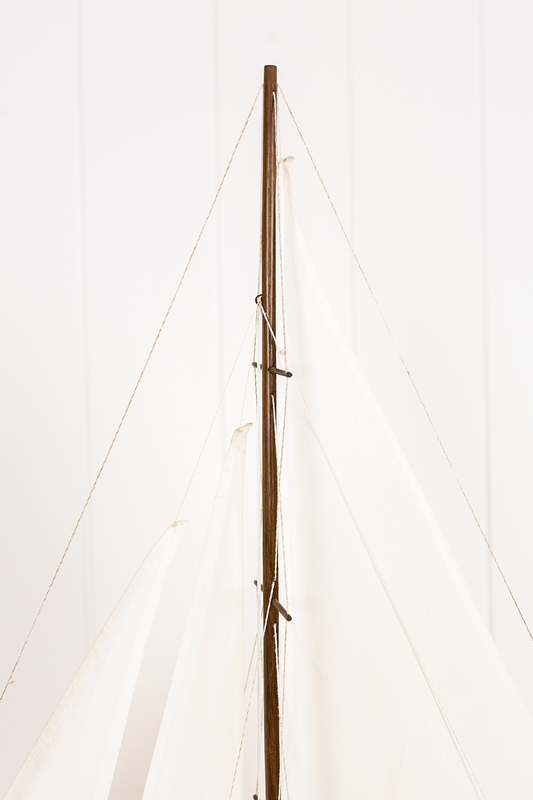 It would look amazing on the bar at a sea food restaurant, in the reception area of a business or office, or on the mantel in a coastal home. Please note that due to the size and cubed weight of this item we are unable to ship. 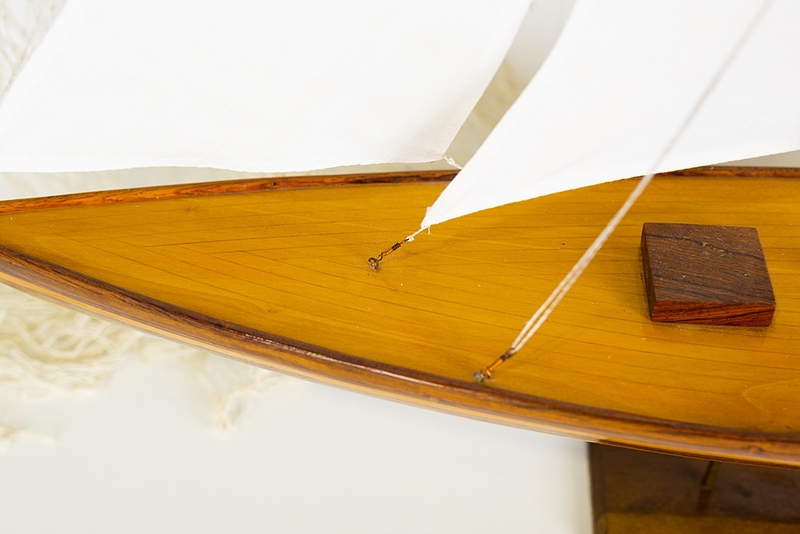 Pick up from our Noosa warehouse always welcome.